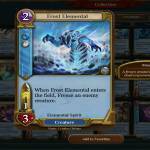 Spellweaver is a digital online card game (TCG/CCG). In Spellweaver, you combine cards (from a huge variety of spells, creatures, artifacts, and so on) into a deck and you play against other players’ decks in strategic duels. The goal is simple: reduce your opponent’s life points to zero. There are tons of possible decks you can build, each with its own strategy. New cards get released regularly, so the game never gets old! What platforms does Spellweaver support? 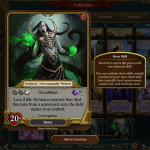 Spellweaver is available as a standalone PC client, on Steam, on the iOS App Store and on Android Google Play. How much does Spellweaver cost to play? Nothing! You can just download and play the game for free, earning cards and currency to purchase decks and booster packs as you play. If you like the game, you can buy extra in-game currency so you can get cards faster. Why did you make Spellweaver free to play? Yes, you can. We’ve made sure that the game is fun and you can stay competitive without making a single purchase – if you feel like it, you can play without spending a dime. 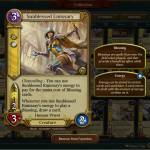 Spellweaver offers a wide variety of game modes. Quick battles allow to play against the AI, play friendly games, or compete in our ranked leaderboards. 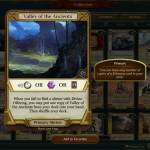 For the lovers of the limited format, we have Spellweaver Trials and draft tournaments. 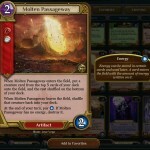 Regular constructed & draft tournaments integrated into the game are running every day. How long is a game of Spellweaver? The average duel lasts between 6-7 and 25 minutes, so you’ll always be able to find some time for a game. Spellweaver‘s story and affairs takes place in the unique fantasy world of Asperia. There are six powerful factions warring constantly for their distinctive causes. Will you take the side of Good or Evil, or will you just slide in between? It’s up to you! 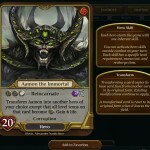 Are you going to have regular updates with new cards? Absolutely. That’s exactly what card games are all about! 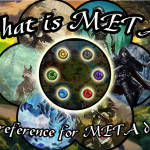 We also plan on bringing you new game features, play modes, etc. So stay tuned! How is the Spellweaver project funded? The project is self-funded by the team. Creating a card game was our dream for a long time and we wanted to have the freedom to make it exactly as we had imagined. We’re dedicated to making it a reality, and we can say that we are quite pleased with the results so far! Did you have a Kickstarter or any fundraising campaign? We had a fundraising campaign here on our website, which finished very successfully, raising more than $38,000. A lot of new and exciting features were funded, so the game will continue to be developed for a long time after the release! The game runs very well even on the lowest end PC systems. Our mobile client can run on 4-5 year old devices, however we recommend at least a 5″ screen and 1080p display resolution.